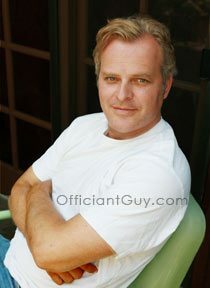 I have been a wedding officiant in Los Angeles for many years and I have performed many civil wedding ceremonies and religious wedding ceremonies in many Los Angeles Wedding Locations. Some of the most fun have been at Dodger Stadium. How about I do’s celebrated in a major league way? There’s nothing like being at a major league ballpark, especially when you can have it all to yourself! One of L.A.’s most unique wedding locations, Dodger Stadium offers a fun and festive setting for your wedding ceremony and reception. With seating for more than 350, the Dugout Club offers menus with the flair of contemporary American cuisine. Or host an even larger wedding reception in one of their outdoor and invite up to 2000 guests. Whoa, now that’s a large wedding. There’s nothing like being at a major league ballpark, especially when you can have it all to yourself! 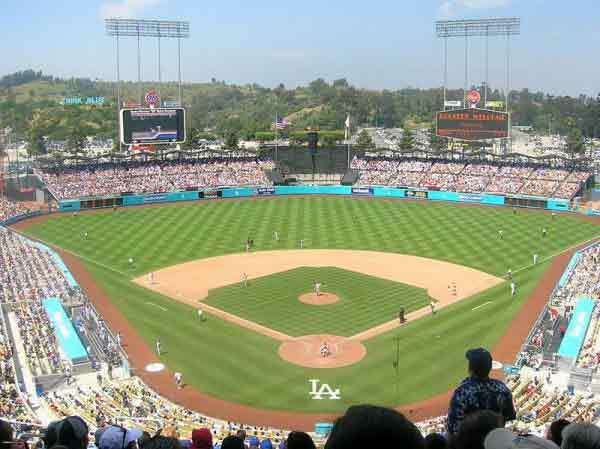 Dodger Stadium offers a fun and festive setting for intimate or large crowds. Take your wedding and reception to new levels. Pick from nearly a dozen spots in the ballpark, including the Stadium Club, the Dugout Club, and our Conference Rooms, or run the bases your way by taking over the entire facility. You just arrange the date, and our Dodger staff will be suited up to take it from there and make your event one to remember! Cut & paste this URL into your web browser http://losangeles.dodgers.mlb.com/la/ballpark/information/index.jsp?content=rentalsto find out more information about the Dodger Stadium. 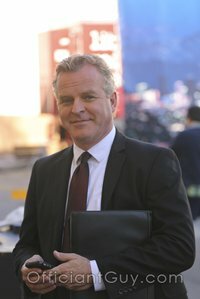 If you are thinking of having your wedding ceremony or reception at Dodger Stadium or anywhere in Los Angeles County or Orange County California then consider having this wedding officiant, the Officiant Guy, as your wedding minister.